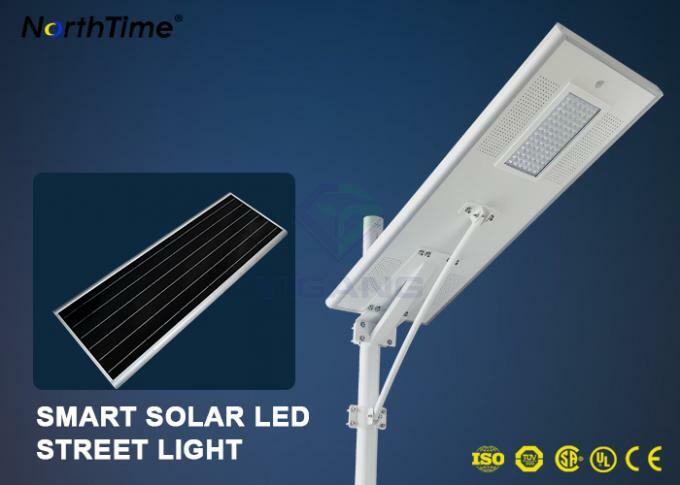 All-in-One Solar LED Street Light, features all of its components fully integrated within an attractive & compact design. 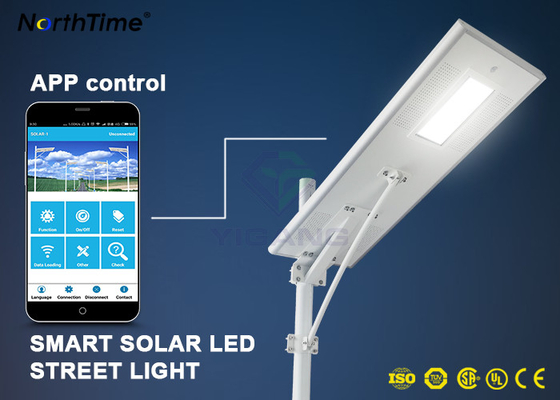 It integrates the high efficiency mono solar panel, Bridgelux LEDs, powerful lithium-ion battery and MPPT smart controller into the system, and possess time control, light control, mobile phone App control. Automatic recharge at day, automatic lights at night. 3. Time control: Light on/off time program can be set per your request. 4. Mobile phone APP control: Install our APP software in your mobile phone, then you can connect to the lights through bluetooth module and control the lights by your mobile phone APP. Application Gardens, streets, residential, industrial zone roads, square and park, school, campus, farm, villas, etc. Digital intelligent control systems, non-electrolytic capacitor design, the lifespan up to 10 years. 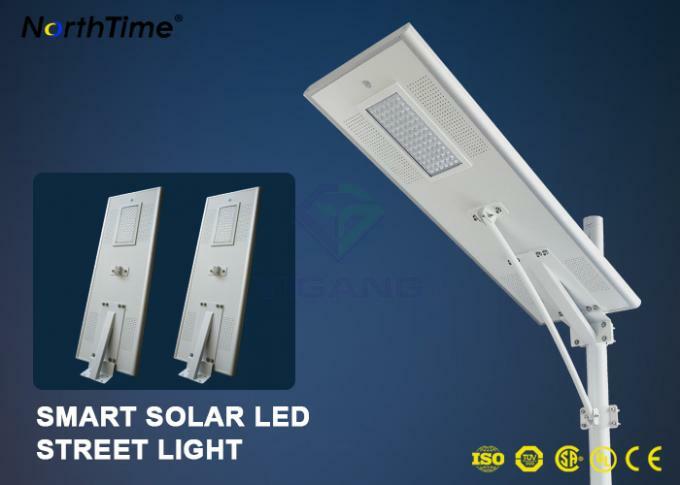 Night intelligent dimming system, late at night can be a half-power operation. We use the lithium iron phosphate battery which is environmentally friendly. It is inside the product to avoid being stole. Its lifespan is more than 5 years. Adoption night gradient smart dimming system, full power lighting night before midnight, after midnight half-power operation. Does not contain lead, mercury and other pollution elements, right the environment did not any pollution. Street, park, roadway, fence, pathway, campus, ramp, boat dock, sidewalk, remote area, private road, farm & ranch, etc. Payment condition: 30% before production, 70% before shipment. 1. Why the charging efficiency is low in winter or cloudy day? Generally the sunlight standard is 1000kw/m2, in the winter or cloudy day, the sunlight intensity are much lower than standard so the charging efficiency is lower accordingly. 2. How many cycles full charge & discharge about your battery? In 100% discharging deepness, it can be cycled for 2000 times; in floating charging and discharging status, it can be cycled for 5-8 years. 3. How many hours the lamp full charged? Depend on sunlight. In summer, it needs only 4-6 hours while in winter 9-10 hours.